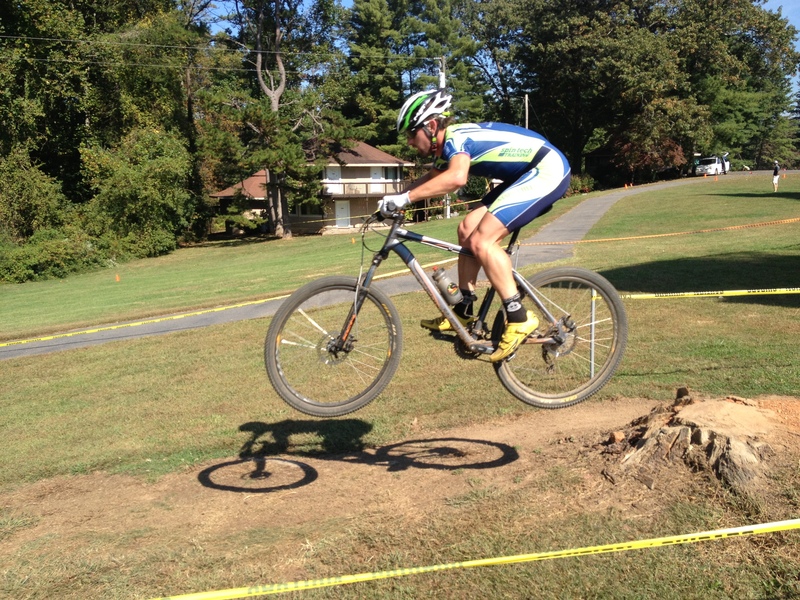 MHU Cycling exceeded expectations at mountain bike nationals by capturing six podiums over the three-day event last weekend. Held in nearby Beech Mountain this year, traveling and logistics were much easier than in year’s past when the event was held in New Mexico and California, helping the team to stay relaxed but focused. Day one was the short track races and downhill qualifying. In snowy conditions, Mikey Keith and Tim Jenkinson had their best rides of the season to place 2nd and 3rd. Hunter Resek placed a strong 15th, which enabled the men to take top team points in the event. In the women’s race, student-coach-athlete Addy Albershardt showed that roadies can ride dirt by claiming a 5th place, while Sarah Felpel finished 29th. Later in the afternoon, Keith and Jenkinson prepared for downhill qualifying. Unfortunately Keith took a spill, separating his shoulder and taking him out of contention. Jenkinson easily qualified in 24th place to make the final of 35 to be raced Saturday afternoon. Day two was cross country races and the downhill final. In the men’s race, Jenkinson took the lead after the first of three laps, eventually hanging on to a superb 2nd place despite having a crash/mechanical on the last descent and having to run his bike across the finish line. Keith wrapped up his dislocated shoulder to hold it in place and managed an excellent 9th place over a very rooty and technical course. Resek again rode strong to come in 18th. In the women’s race, Addy Albershardt, who has only been racing a mountain bike for a few weeks, also finished 9th after riding in 6th for most of the race. Sarah Felpel finished 31st. In the afternoon, Jenkinson crashed hard during downhill practice and needed some mending before finishing a solid 26th, taking him into the individual omnium lead over Southeastern Conference rivals Wes Lamberson (Union) and Cory Rimmer (Virginia Intermont). Day three, the final day of racing, was the dual slalom qualifying and finals as well as a brand new event to collegiate nationals, the coed team relay. In downhill qualifying, Jenkinson and dual slalom favorite Alan Hudson both met with disaster after promising practice runs. Hudson narrowly hit the last gate of the course when his pedal hit the gate post and the flagging got caught in his pedal/derailleur and slowing him down, but the officials disqualified him from the rest of the race, saying he missed the gate entirely. The officials were gracious enough to consider our appeal based on USAC’s philosophy of focusing penalties on those who gained an unfair advantage, which Hudson certainly did not, but their ruling stood and Hudson was done racing after just one run. Jenkinson’s first run was equally harsh as his wheel slid out in the second turn, sending him to the ground on his already injured shoulder. By the time he was able to complete the run, his time was not good enough to qualify for the finals, thus putting him out of the running for the individual omnium national championship. The coed team relay was the last event for the team. With Jenkinson too injured to race, Resek stepped in for him to join Keith and Albershardt. In the four lap race, each team was required to have men do two laps and women do two laps, and no rider was allowed to do consecutive laps so there had to be an exchange every lap. Teams could be as small as two riders (one man, one woman) or as large as four riders (two men, two women). Our team was made up of three riders, meaning that Albershardt would have to do two laps. Keith started for us and put us in 2nd place after lap one. 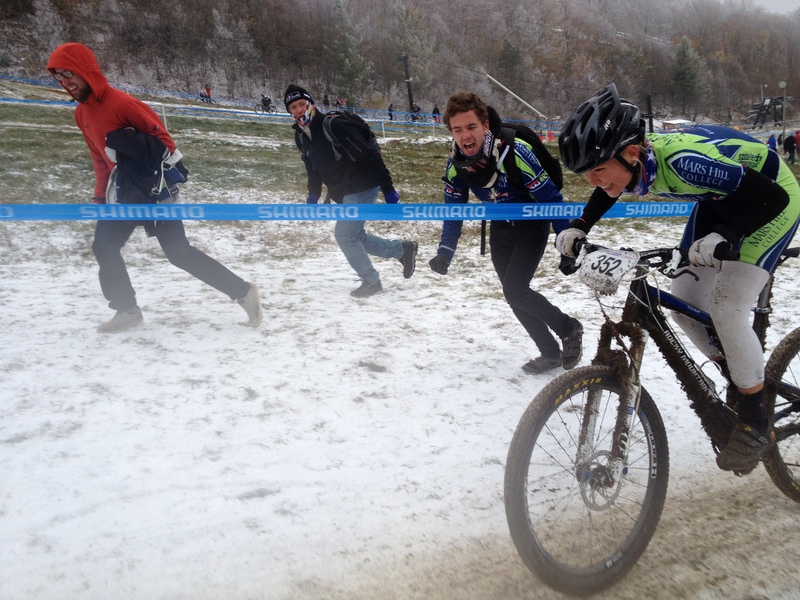 Albershardt maintained 2nd place during lap two, and Resek maintained 2nd and increased our lead on 3rd place. Albershardt took the last lap with a good lead on 3rd but was caught on the last climb by a flying men’s rider from Colorado Mesa University. Albershardt held off all other chasers and brought home the bronze medal. After all the points were tallied, MHU ended up the 5th team overall in division two. And Tim Jenkinson finished with the bronze medal in the individual omnium. Not bad considering the crashes, disqualification, and the fact that we were missing our most experienced female mountain biker, Catherine Harnden, who was injured during regular conference season. Nevertheless, Harnden joined the team, cheering from the sidelines, which gave riders the extra motivation they needed to surpass results from all previous mountain bike nationals. Next up is cyclocross season with conference races at University of Georgia, Virginia Intermont/King University, and our home race on the campus of MHU on December 7-8. 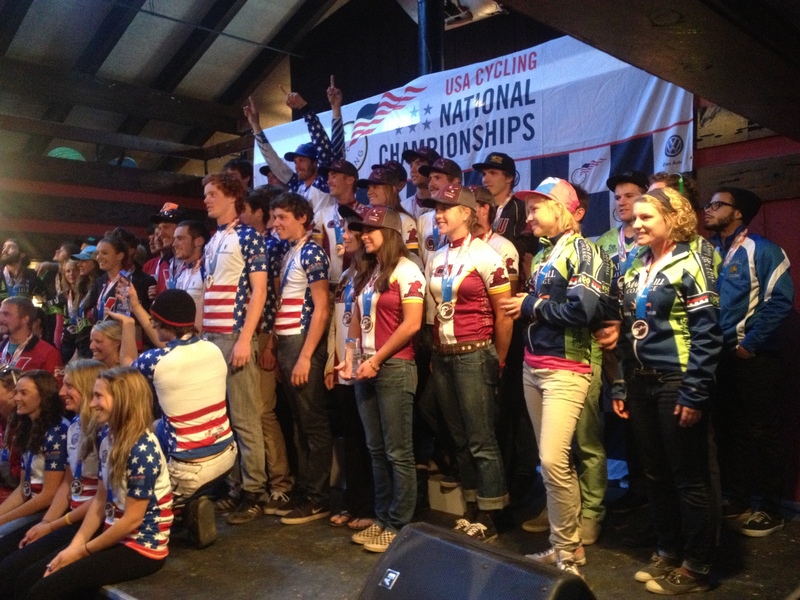 Cyclocross nationals will be in Boulder, Colorado, on January 8-12. A huge thanks to our sponsors, supporters, families, and fans. We couldn’t perform at this level without your continuing strong support. Today one group traveled less than a mile from campus to Bailey Mountain to work on mountain bike and hiking trails. 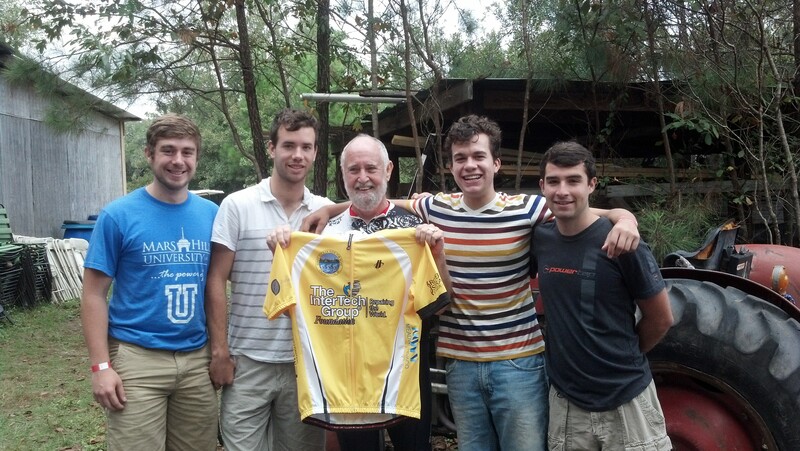 The other group went to Asheville to help Trips for Kids WNC’s Bicycle Thrift Shop. The Bailey Mountain trails project was spearheaded by Mars Hill’s SGA president, Brady Adcock. The mission of the Bailey Mountain Foundation is to provide a trail system that encourages Madison County and Mars Hill residents to embark on outdoor exercise and adventure. Currently, the trail is roughly 2.5 miles to the top of Bailey Mountain. Eventually the trail will have various add-ons to make a full loop and connecting several trails within the area. For more information on the Bailey Mountain Foundation please click HERE. The other half of the team traveled to Asheville to help Trips for Kid’s Bicycle Thrift Shop, located just outside of downtown Asheville. The shop is a place where people in the cycling community can donate equipment, and when the equipment is sold, the money is used to give kids–who wouldn’t normally have the chance–opportunities to learn about and ride bikes. 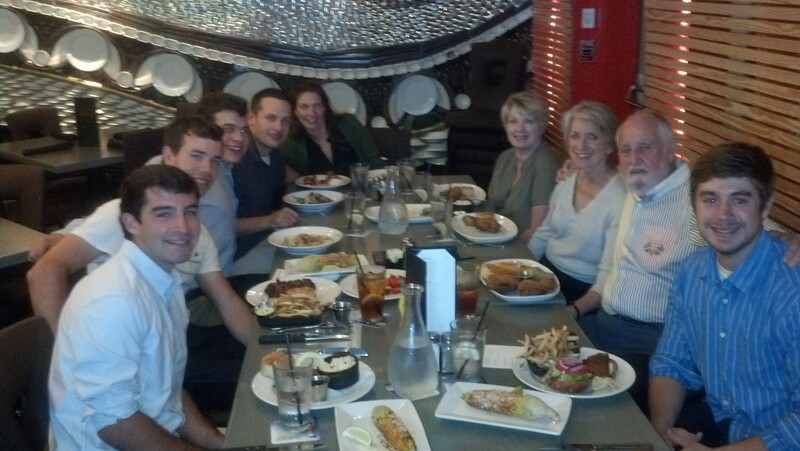 We met Stephen Janes, owner and unit leader of the Asheville Trips for Kids branch. 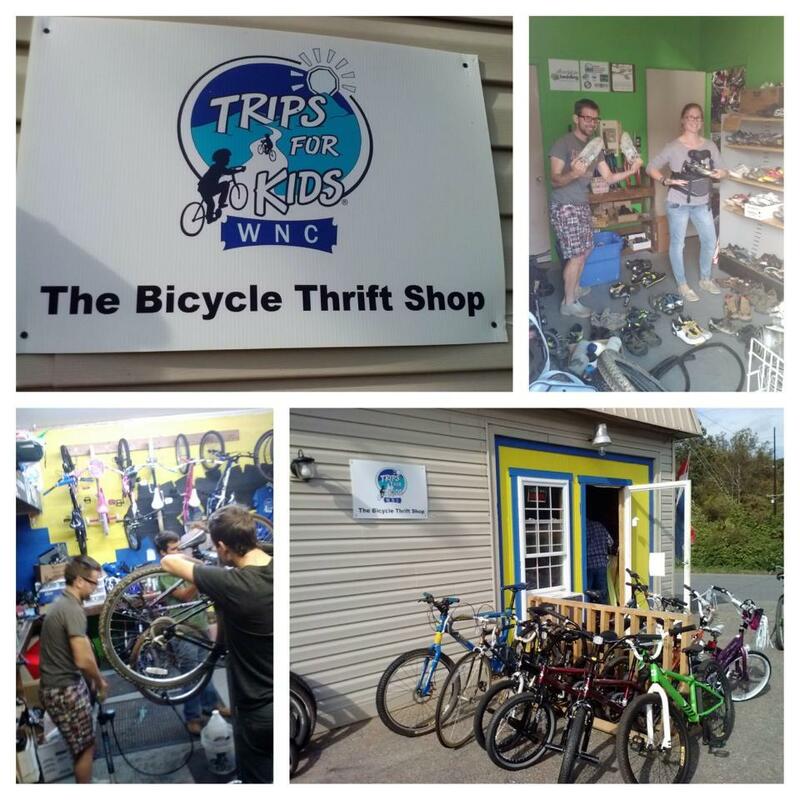 We talked to him about the areas he serves in Asheville and the benefit of having the Bicycle Thrift Shop to supply additional support for the Trips for Kids program. Meeting Stephen today opened my eyes to the value TFK’s brings to our community. He inspired me to volunteer more of my time to help people in our community of Mars Hill. In conclusion, the team had a great day of bonding with one another and learning more about the people who work within our community. Myself, and others on the team, find volunteerism very important to our cycling team because we care about the community around us who support our team and our school. It feels good to be able to give back to the community to show that we care about more than just racing our bikes. I’m excited to see what the team’s next service project will be and to continue the fun experiences in service like we had today. 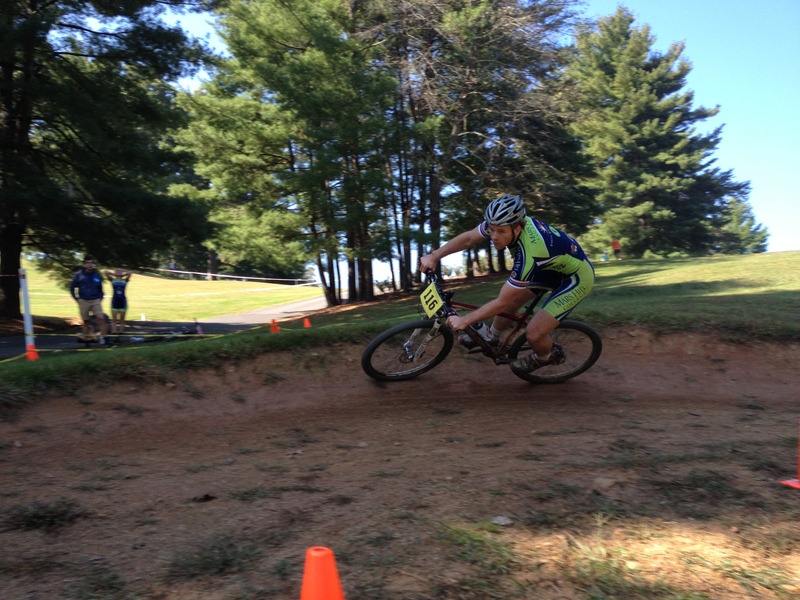 Additionally, I am very excited to race the national championships this weekend. I hear the weather is suppose to be a bit cold and wet (or snow). However, rain or shine, the team is motivated and inspired to do their best as always! This past weekend four members of the Mars Hill cycling team (Jake Hill, John Butler, Barry Wilcox, and Chad Capobianco) traveled to Charleston, South Carolina, for the Ride for Hope. The ride was organized to raise money for local charities and to honor Jerry Zucker, a very well known philanthropist in the business world, who unfortunately died of cancer in April of 2008. Mars Hill University business professor Beth Cessna had connections with the ride organizers and suggested that we give the Ride for Hope a try. As the four of us are primarily road racers, this sounded like an excellent opportunity to be able to show support for Jerry Zucker’s legacy while representing Mars Hill University. Getting involved with the community is very important to our team, so we were very excited to participate in this special ride. We left around lunchtime on Saturday afternoon after an easy morning spin. The car was packed to the max with nothing but bikes, bags, and good humor. Once we arrived at the hotel, which was generously paid for by a member of the race organization, we rested and cleaned up for dinner. Dinner was at an outstanding restaurant called Ms. Roses, which is owned by the wife of Jerry Zucker. Eating at Ms. Zuckers’ restaurant was a treat in itself, as some unbelievably nice people joined us that were also apart of the ride on the following day. Some top sponsors of the event ate with us, and shared really touching and eye opening stories. We couldn’t have asked for a more enjoyable evening; it really was an incredible experience. Sunday morning we were up bright and early. The ride started at 8 am and the temperature was perfect. Everyone’s spirits were high. 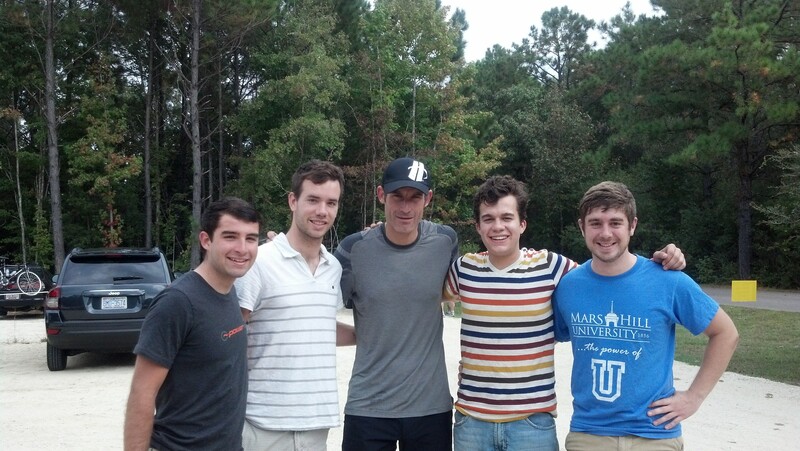 We even had a special guest join us for the ride: George Hincapie. A former professional cyclist, George is very involved in giving back to the community and decided to come out for some fun. The 65-mile ride began at a comfortable pace until the halfway point when “Big George” decided to put the hammer down. The remainder of the ride was lightning fast with only a handful of riders finishing in the front group. After the ride, we were treated to a delicious meal and some awesome music. We chatted with many of our new friends before we had to hit the road to return back to Mars Hill. The Ride for Hope was a great experience that we will never forget. The people we met were very inspiring and their generosity was incredible. They definitely made an impact on the four of our lives, and we hope to pass on the good words of wisdom that we have learned. We hope to make this ride a tradition for years to come! This weekend the team made the short trip to Asheville’s very own Kolo Bike Park for our home collegiate and open mountain bike weekend. After much planning, preparation, and dedication from the team, our sponsors, and the cycling community of Asheville, the event was a huge success. 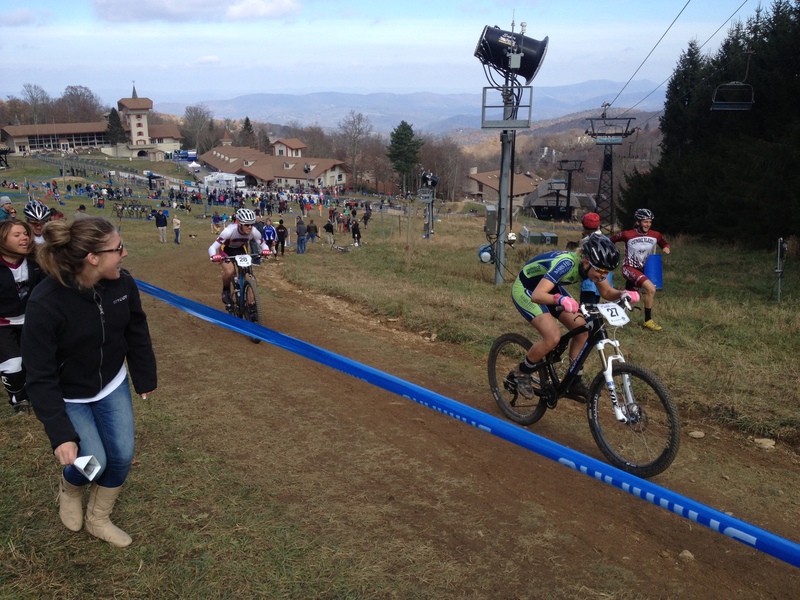 Kicking things off on Saturday was the Women’s A short track. 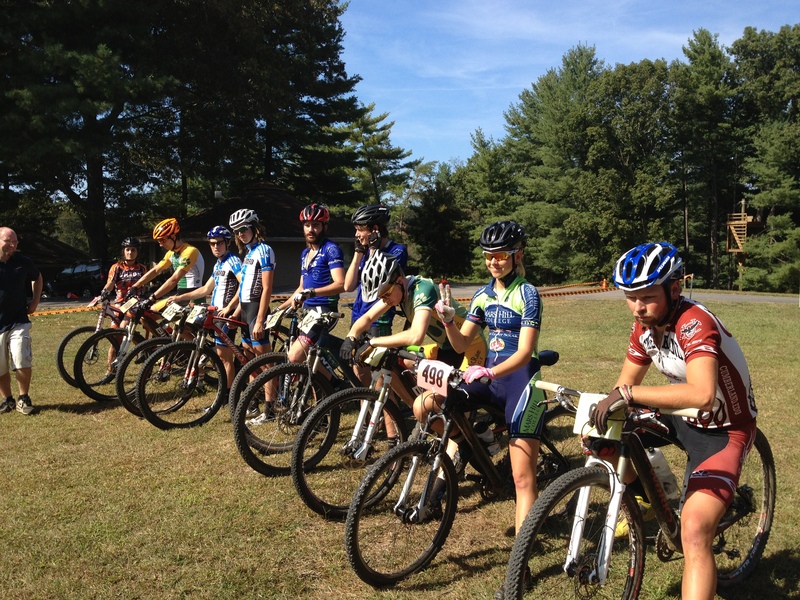 Twenty of the Southeastern Collegiate Cycling Conference’s finest mountain bike racers hit the line including Mars Hill’s own Addy Albershardt and Sarah Felpel. After 25 minutes of brutal racing, Addy finished a very respectable 7th on her new mountain bike thanks to Hearn’s Cycling and Fitness in Asheville, NC. Sarah fought her way to 17th and did it with a smile on her face! Next up was the Men’s A Short Track with twenty-nine men, including several professionals, a national champion, and a world championship participant. Racing was expected to be intense and it certainly was! Mars Hill fielded three men, Tim Jenkinson, Michael “Mikey” Keith, and Hunter Resek. Tim got off to a strong start and finished an impressive 7th. 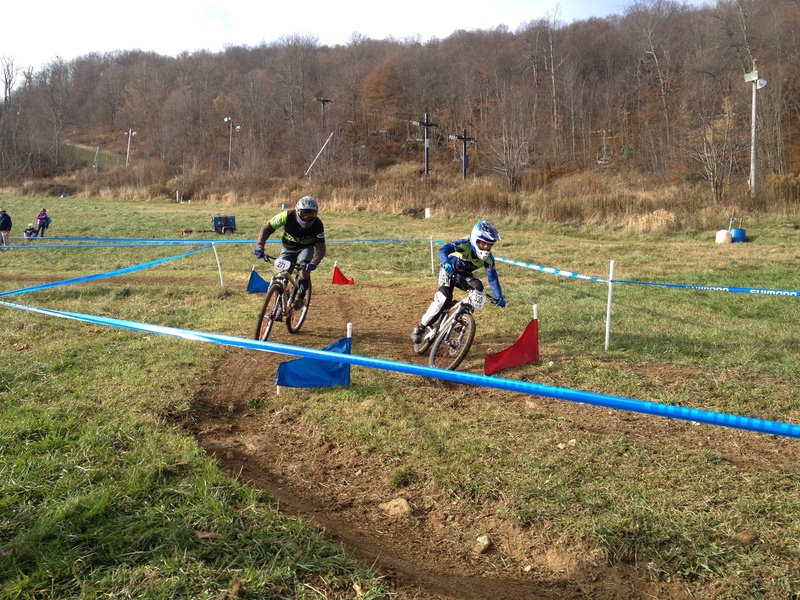 Mikey and Hunter were less successful in the start but fought to respectable 19th and 20th place finishes. After the Short Track Events, the teams of the SECCC had to chance to do “do battle” in the Team Relay, a new event in collegiate racing. Brevard College showed their strength and depth by fielding 2 teams that went 1-2 in the event. Cumberland College took 3rd, Lees McRae took 4th and 5th with their two teams, Mars Hill finished in the 6th spot, followed by the two Warren Wilson teams wrapping it up in 8th and 9th. The final event of the day was the Super-D, the fast, technical and exciting course was a perfect finale of a great day of racing. The Men’s A field kicked things off with twenty-five riders and what a show they put on! 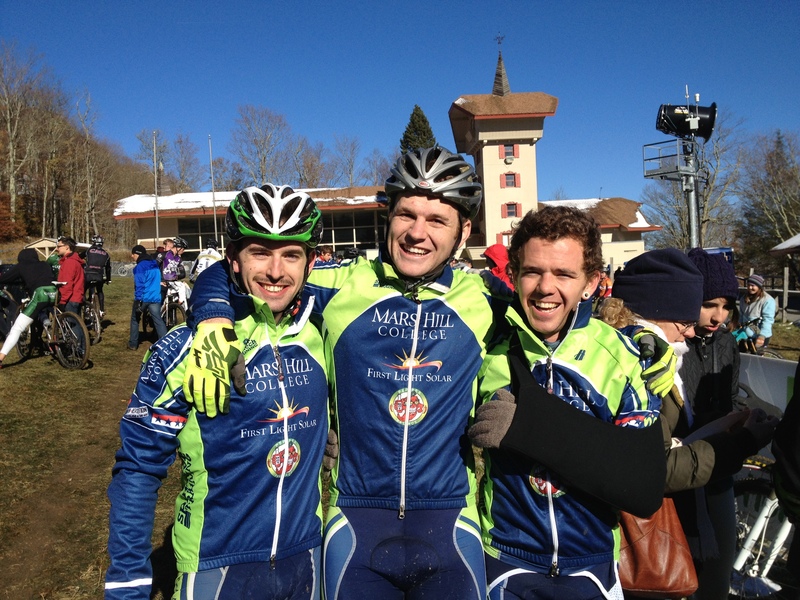 Mars Hill sent three riders to the line, Alan Hudson, Mikey Keith, and Tim Jenkinson. 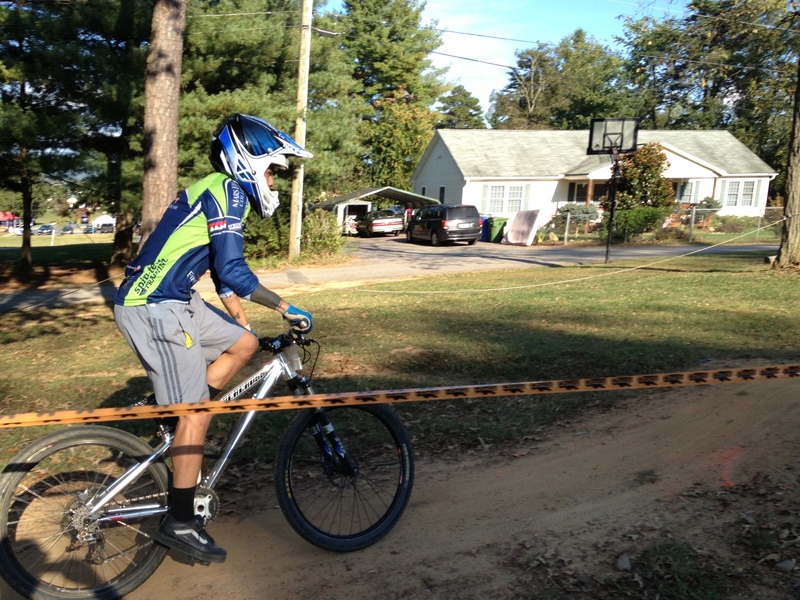 Our BMX all-star Alan was the top performer finishing in 7th place. Mikey laid down two solid runs to finish 18th and unfortunately Tim suffered a broken chain and finished 24th. The next field to go off was the Men’s C, Mars Hill only starting one rider, Hunter Resek. Before coming to Mars Hill, Hunter has predominantly been on a road bike and suddenly found himself in his first gravity event and took the win! The final field of the day was the Women’s B event, including Mars Hill’s own Sarah Felpel. Sarah completed her race with a big smile on her face each run en route to a 2nd place. Sunday’s racing was started with the men’s C cross country event and taking the line for Mars Hill was XC running star Cesar Reyes. Cesar started his race flawlessly taking the hole-shot but his race was cut short due to a mechanical problem that forced him out of the race. Next to hit the line was the all-star packed Men’s A field for seven laps of the challenging 15 minute course. Mars Hill put two racers on the line, Tim Jenkinson and Hunter Resek. Both racers fought hard, rode well and finished in very respectable places, Tim taking 10th and Hunter close behind in 13th. The final event of the day was the Women’s A XC, and representing Mars Hill was just Addy Albershardt. Sadly her day was cut short with a crash and a flat tire that ended her race. After a very successful weekend of racing, we the Mars Hill University Cycling Team cannot thank our sponsors enough for making this event and team possible. Huge shout-out to Kolo Mountain Bike Park for providing a fantastic venue and Neo Burrito for keeping the team fed and happy every night! 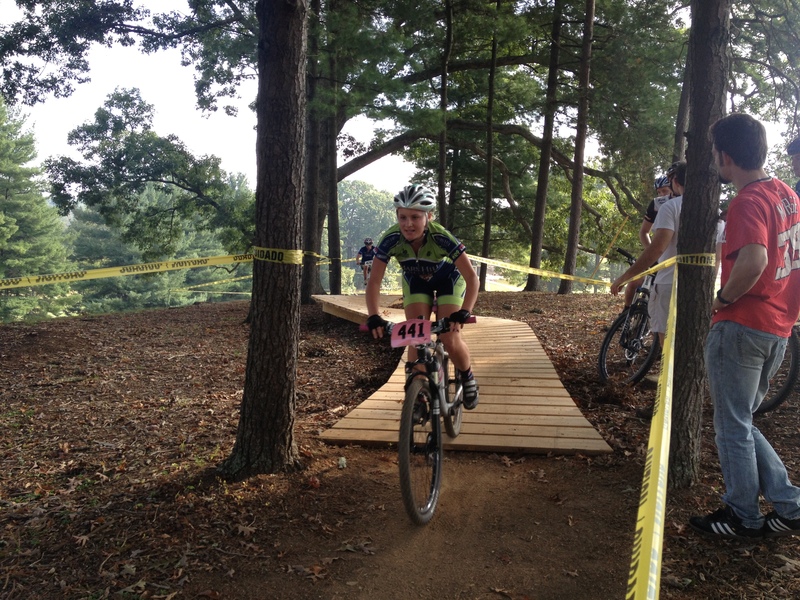 Come ride Kolo Bike Park this weekend during our mountain bike races for all open and collegiate categories. The flier is HERE. Register HERE. Comments : Comments Off on Ride Kolo this Weekend!